We’ve put together our most frequently asked questions to help you with any queries, if you have any other questions please contact us directly and we will be happy to help. 1. How can I find the balance of my MasterChef Gift Card? 2. Do I have to spend the whole gift card value in one transaction? No, you can spend part of the value of your MasterChef Gift Card and use the remainder on a different order. 3. Can I order more than the value of the MasterChef Gift Card? Yes, you can order goods for the value of more than your MasterChef Gift Card, and pay the additional amount by debit or credit card. 4. Can I order from more than one retailer? Yes, you can order goods from as many retailers as you want and checkout in one place. 5. I don't have a MasterChef Gift Card, can I still shop? No, this site is exclusive to MasterChef Gift Card holders only. You can purchase a MasterChef Gift Card here. 6. Where can I spend my MasterChef Gift Card? Online here in our Artisan Food & Drink Online Shop. 7. How do I buy a MasterChef Gift Card? You can buy a MasterChef Gift Card here. 8. What happens if I lose my gift card or it is stolen or damaged? If your MasterChef Gift Card is lost, stolen, damaged or destroyed, please tell us as soon as possible by telephoning Card Services on 0344 7709015 (24/7 automated telephone service), and quoting the gift card number. (The gift card number can also be found on the gift card wallet). Within office hours you can speak to a member of the Card Services Team. Outside office hours, you can cancel the gift card, but must call back in office hours if you would like to arrange a replacement gift card. Card Services can arrange for a replacement card to the value of the balance on the gift card at the time it is reported lost, stolen, damaged or destroyed to be issued to you. We will charge you £8.90 for a replacement gift card (this includes sending the new gift card by special delivery to you), and this will be deducted from the balance of the gift card. Replacement card requests will be completed within 10 working days. 9. How much is the delivery of food and drink from retailers in the Artisan Food & Drink Online Shop? Each Authorised Retailer has their own delivery costs and timescales. Each retailer has their own individual page displaying their products. Their own delivery details and contact details are clearly stated before “Shop the Range” on the individual retailer page. 10. Do I have to pay more than one delivery charge, if I order from more than one retailer? Yes, you will be charged the appropriate delivery rate for each product(s) from each Authorised Retailer. Orders are sent out separately from each retailer. Some retailers do offer Free Delivery, check their individual pages. 11. When and how will my order be delivered? Each Authorised Retailer has its own shipping policies. Please see the retailer page for shipping information. 12. My order hasn't arrived? Please contact the Authorised Retailer with your order number. You can find the contact details on their individual retailer page. Each Authorised Retailer has its own refund policy. Please see the individual retailer page section “Returns Policy”. Please note a refund cannot be put back onto the MasterChef Gift Card and if the individual retailer can offer you a refund they will do so in their usual manner. 14. I have an issue where do I address my complaint? If you have an issue with your order, each individual retailer has their own complaints handling policy which can be found in the Returns Policy Section of the individual retailers page, and you should speak directly with the retailer. 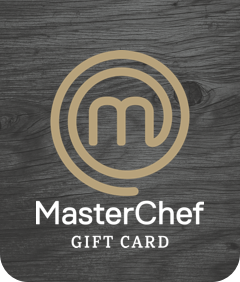 MasterChef Gift Card would like to know of any issues with any of our Authorised Retailers so please do contact us on 01524 805034 or email info@masterchefgiftcard.co.uk and a member of the team will address your concerns. 15. Who Should I call if I can't find the answer to my question? If you have a question about ordering products or are worried about your order, please call the authorised retailer directly, and they will be happy to help. Their phone number and email is on their individual page underneath the heading "Shop the range". Please call: 0344 7709015 (24/7) You will need your gift card number which you can find on the reverse of the gift card and on the gift card wallet.